On 27 November 100,000 workers took to the streets in Ireland in a gigantic show of opposition to the cuts raining down on them. Here too, the anti-cuts movement is intensifying. At this stage it is young people who have taken the lead with the magnificent students' strikes, but there is also growing determination among trade unionists to wage an intransigent struggle to defeat the government. Every Saturday another town is brought to a standstill by an anti-cuts demonstration. From smaller towns to big cities the demonstrations have been the biggest since the early 1990s. Those demonstrations were part of the movement against the poll tax - which succeeded in both defeating the tax and bringing down the Iron Lady herself - Maggie Thatcher. Today one of the key questions is how to bring together the different elements of the rapidly growing anti-cuts movement in order to create the most powerful possible opposition so that we can once again defeat the Tory government. The National Shop Stewards Network (NSSN) anti-cuts conference, taking place on 22 January, has the potential to play an important role in this process. The anti-cuts movement inevitably has many different strands - housing campaigners, pensioners' organisations, disability rights campaigns and many more - which all have a potentially valuable role to play. Nonetheless, it is essential that they are linked together. The trade unions are best placed to do this. However, unfortunately right-wing trade union leaders only play lip service to this task. The NSSN, with a record of organising militant trade unionists, therefore has a crucial role to play - not in replacing the trade unions - but in acting as a lever to galvanise the struggle. It has already shown how it can play this role. The NSSN was the first national organisation of the labour movement to organise a national conference in the wake of chancellor George Osborne's first emergency 'bloodbath budget'. It then organised the lobby of the TUC conference which received a tremendous response from the growing anti-cuts movement. All activity - demos, meetings etc - to raise awareness is to be welcomed. But the NSSN correctly foresaw that exerting pressure on the leadership of our movement, the trade unions, was the first priority. This paid off when the TUC was forced to respond to the demand for a national demonstration - albeit belatedly for 26 March 2011. The NSSN has continued the campaign of pressure on the trade unions to act, not least by building the anti-cuts movement on the ground. It has played a key role in founding many of the local anti-cuts unions and in instigating the regional trade union demonstrations against the cuts that took place on 23 October in London, Bristol, Cardiff, Manchester and elsewhere. Socialist Party members who are officers of the NSSN are proposing that the conference in January 2011 founds the 'NSSN - all-Britain anti-cuts campaign' under the slogan 'Unions and communities together to save jobs and services'. This proposal will be discussed at the NSSN steering committee taking place on 4 December. Unfortunately but not surprisingly, it will be opposed by members of the Socialist Workers Party (SWP). When the anti-cuts conference was first agreed by the NSSN steering committee (which includes members of the SWP and the Coalition of Resistance) the SWP members voted for it, but then less than 24 hours later announced their own 'Right to Work' conference. Yet the SWP are now opposing the NSSN conference under the cloak of 'unity'. However, we are not able to take at face value the declarations of the SWP for unity when their actions in practice have been so divisive. When Chris Bambery of the SWP spoke on behalf of Right to Work at the Coalition of Resistance conference on Saturday 27 November he declared that: "we do not want different anti-cuts campaigns in the same town or city". We agree, but just a day later the SWP's party notes again re-emphasise the importance of building separate Right to Work groups in every local area! He also stated that: "we do not want demonstrations taking place at the same time". Again we agree, but it was his party that, just weeks ago, knowingly organised a national Unite Against Fascism demonstration on the same day, time and venue as Socialism 2010 - our 1,000 strong weekend of discussion and debate. As a result the UAF demonstration was far more poorly attended than it could have been. An NSSN officer who is in the SWP comments on our proposal for 'NSSN - an all-Britain anti-cuts campaign' in the Socialist Worker (27 November 2010) saying: "At the moment no single organisation has any mandate or wide enough support to set itself up as the sole national organisation against the cuts. An attempt by the Socialist Party to railroad the NSSN into proclaiming itself as this national body is a recipe for division and disaster." This is to deliberately misrepresent our position. The Socialist Party does not claim that the NSSN's anti-cuts campaign would be the only national organisation against the cuts. Given the existence of the Coalition of Resistance and Right to Work this is clearly not the case. We do, however, think that the NSSN - with its records, roots and fighting programme - is uniquely well placed to begin to bring together the forces that are building the anti-cuts movement on the ground. We are in favour of the maximum unity and cooperation between the different anti-cuts organisations, and have proposed that the NSSN discusses coordination with the Coalition of Resistance (CoR) and Right to Work. However, unity only strengthens the movement if it is around a fighting programme. If we were all to unite around the programme of passivity put forward by Brendan Barber and the leadership of the TUC we would obviously be dooming our movement to defeat. At the CoR conference Chris Bambery of the SWP declared that: "anyone who claims to be the leadership of the movement should be punished". Yet just a day later the SWP's party notes tell their members: "In every area SWP members need to not only be involved in local anti-cuts groups but also fighting to lead and shape them." That is the right of the SWP. No one can currently claim to be the sole leadership of the anti-cuts movement nationally, but every political trend involved in the anti-cuts movement can and should put forward and argue for their strategy for defeating the cuts. Which strategy is most effective in defeating the cuts, and can therefore win the leadership of the movement, will be tested and decided in the living struggle. This is what happened in the anti-poll tax movement. It was the non-payment strategy of the Socialist Party (then called Militant) which was adopted by 18 million people and led to victory. Unfortunately, at the CoR conference, there was no opportunity for genuine discussion and debate on how best to defeat the cuts. By contrast, the NSSN conference will be open and democratic with full rights for all trends to put forward their point view. The SWP do not have a strategy for victory. 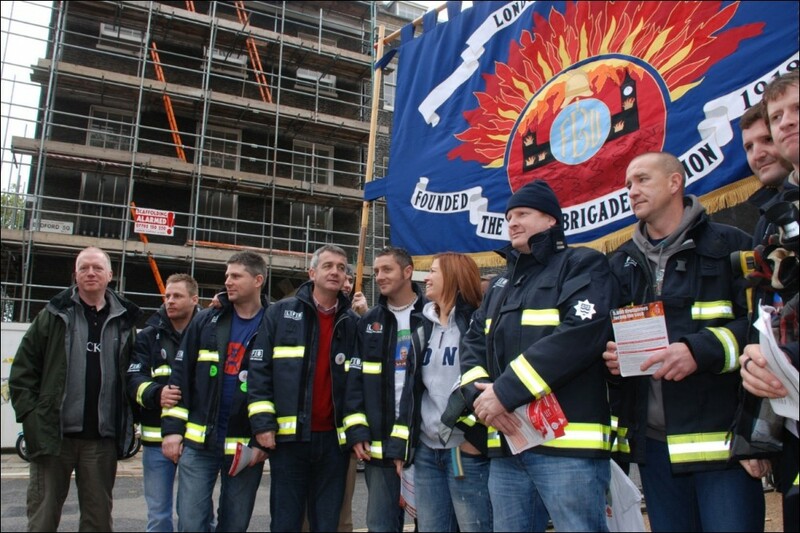 Recently this has been shown by their serious mistakes in the industrial field - both condemning the London FBU firefighters for suspending their strike action, and alienating BA strikers by occupying their talks. The SWP are combining ultra-leftism with increasing opportunism. 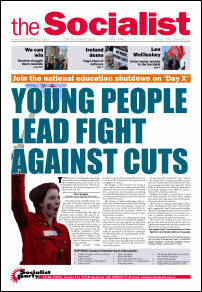 The latter is indicated by the article by the NSSN officer. Their approach is to 'keep quiet' about cuts by Labour councils, in order to keep Labour Party members on board. This is a strategy for defeat. To build a united movement it is necessary to oppose all cuts in jobs and services, regardless of which party is wielding the axe. The SWP's approach was shown by their coverage of the magnificent London NSSN-initiated anti-cuts march on 23 October, where they criticised the chair of the rally for asking Jeremy Corbyn MP to call on Labour councillors to oppose cuts, saying: "In order to build a broad alliance we need to defeat the Tory cuts, we will need to work not only with left wing Labour MPs like Corbyn, but with far more flawed figures on the right of the party." We agree that we should work with Labour Party members in the anti-cuts movement, including Labour councillors, provided they oppose the cuts. Where they vote for them, they cannot be part of the anti-cuts movement. The NSSN officer writing in Socialist Worker states that the Socialist Party's "proposal to support anti-cuts candidates is also very divisive. It will inevitably mean standing candidates against the Labour Party, and therefore will likely exclude any supporters from the left of Labour." It is open for debate whether the NSSN anti-cuts conference wants to formally adopt a position of standing anti-cuts candidates at this stage. However, it is absolutely clear that a major part of the anti-cuts movement across the country is opposing the huge cuts being carried out by Labour councils whether it is workers taking strike action against £400 million worth of cuts from Kirklees Labour council or campaigners in Lewisham opposing £60 million of cuts by the Labour council in Lewisham - which this week called out the full might of the riot police against 200 peaceful anti-cuts protestors! It is right and inevitable that - faced with candidates from the big three pro-cuts parties - anti-cuts campaigners - perhaps even including some who are currently Labour Party members - will want to stand anti-cuts campaigners in elections. To suggest that we do not do so for fear of 'excluding Labour supporters' is to try and take away an important political weapon in the struggle. The Socialist Party will fight for unity - but for unity around a programme of action capable of defeating the Con-Dem axe men and women.